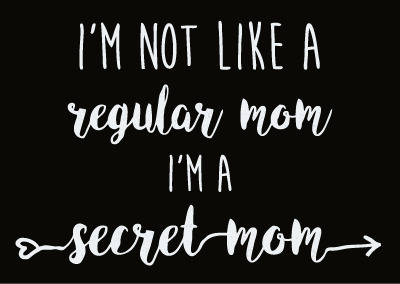 SECRET MOMS APPAREL is now available to order online! Please click on the items below for a description of each item, and to order. Note that there are two logo options for each apparel item. Please be sure to select the logo you would like for that item. NOTE: DARK GARMENTS WILL HAVE A WHITE PRINT, LIGHTER GARMENTS WILL HAVE A BLACK PRINT. 1. "IN-STORE PICK UP" if you would like to pick up your item at our store in Fowleville. There is no additional charge for this option. 2. "US MAIL" - when complete, your order will be shipped via US MAIL to the address on your order form. There is an additional cost for this option (cheapest of the home delivery options). 3. "UPS GROUND" - when complete, your order will be shipped via UPS GROUND SERVICE to the address on your order form. There is an additional cost for this option (most expensive of the home delivery options). Logo size on mock ups below is approximate only, and will be sized to normal logo sizing for production items.